A creative Fortnite fan has come with an idea for a new Limited Time Mode that would see the return of all of the items and weapons that Epic Games have placed into the game’s Vault. Designed by Reddit user FinnWasTakenn, the LTM mode, which is appropriately named Overpowered, would feature all of the games weapons and items, along with removed features and the reappearance of Mythic Weapons like the Infinity Blade, which was removed from the main portion of the game on Friday, December 14. The idea behind this incredible concept is that while some weapons or items are too strong to be in the normal game, no one thing can be too overpowered in this mode, as all of the weapons are incredibly strong. 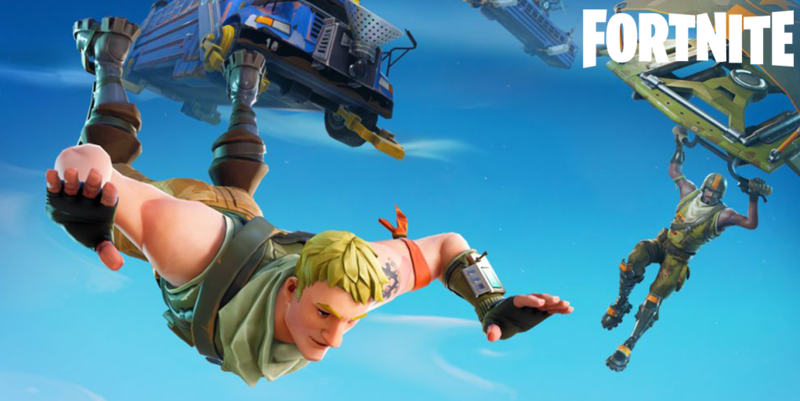 Read More: Fortnite v7.10 Patch Notes – 14 Days of Fortnite, Weapon Balancing and more! This means that if someone picked up the Infinity Blade, the fight would be more even as players could pull out one of the game’s over weapons that have been too strong over the year, like Thanos’ Infinity Gauntlet from Avengers: Infinity War. The Overpowered LTM would also bring back game mechanics that were previously part of the game like Glider Redeploy, a famously unpopular addition that allowed players to pull out their glider at any point of the match, or Shadow Stones which were removed from the game at the end of Season 6. What do you think of the Overpowered LTM? Would you like to see Epic Games add this in the future? Let us know in the comments below!